The WindowBee™ was created to spread the cultivation of bees in the cities in observational bee hives or in traditional way. Currently these are the only places where the bees do not suffer from them deadly environmental changes. Chemical pesticides and monocultures introduced in the country weakened immune system of bees. This is main reason of CCD. 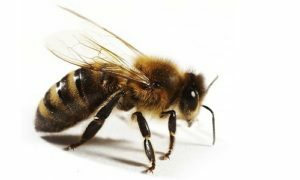 Colony Collapse Disorder is a serious threat to honeybees. These insects will die without the help of the cities. Honey bees extinction will bring hunger across the planet. Bees indirectly -through pollination produce more than 30% of our food. Without them, we will become threatened and all planet ecosystem. Bees are critical to agricultural production, but beekeeping is actually increasing in cities like Los Angeles and New York City, where restrictions on the practice were recently lifted. In Philadelphia, where there are thousands of abandoned lots to forage, both hobbyists and commercial beekeepers are introducing hives to their backyards, roofs and gardens. Hari Sreenivasan has the story. To celebrate the release of the Cities episode of Planet Earth II, Maddie Moate went down to East London to meet the beekeeper Chris from Barnes & Webb who manages a selection of beehives across the city. Maddie finds out how bees find food in urban environments and how, through the waggle dance, they are able to communicate with their fellow bees, where food can be found. A film show an easy way replace queen in the WindowBee™hive.